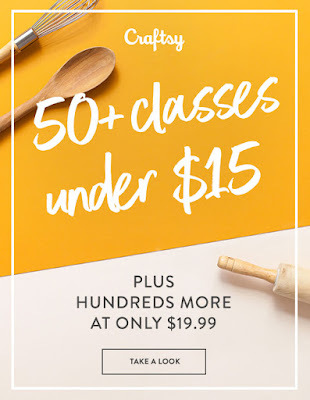 Pieced Brain: Online Classes Under $15! Before I graduated last May, I took many online classes to learn software I needed to complete my projects and it was amazing! Since I could access the courses at any time, I would often wake up around 4 am and watch the classes while the rest of the household was still asleep. 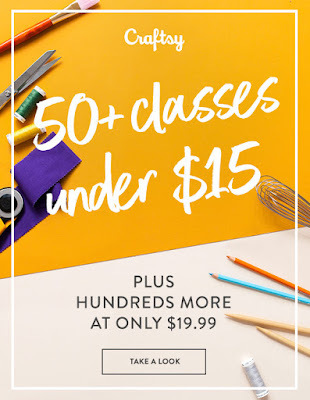 I may also snag some cake decorating classes and supplies because I want to be able to decorate them as my Mom used to do it. In fact, she used to bake and decorate amazing cakes, supporting my sister and I with the proceeds of her (our, actually, because my sis and I helped) work.